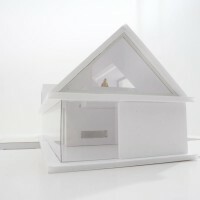 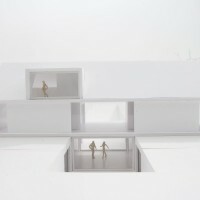 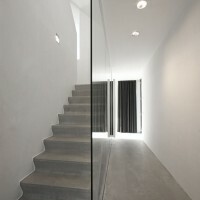 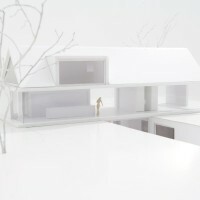 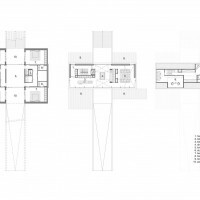 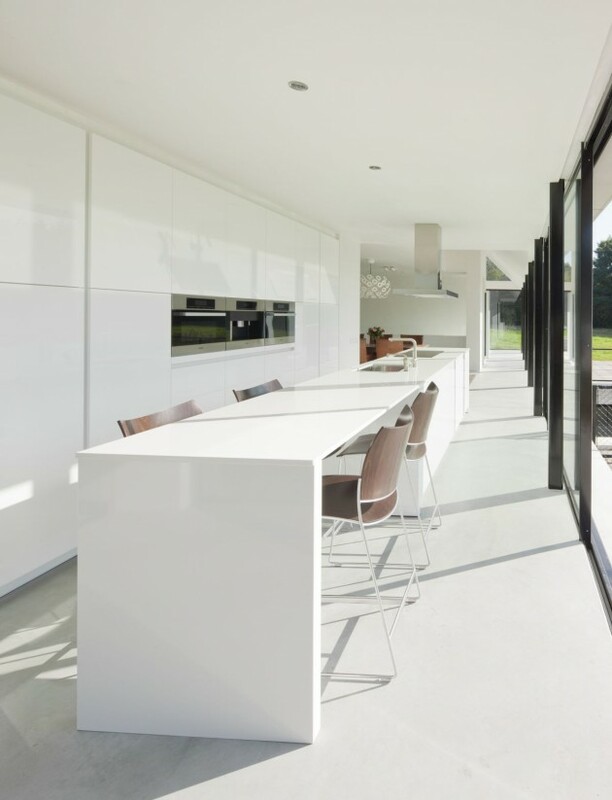 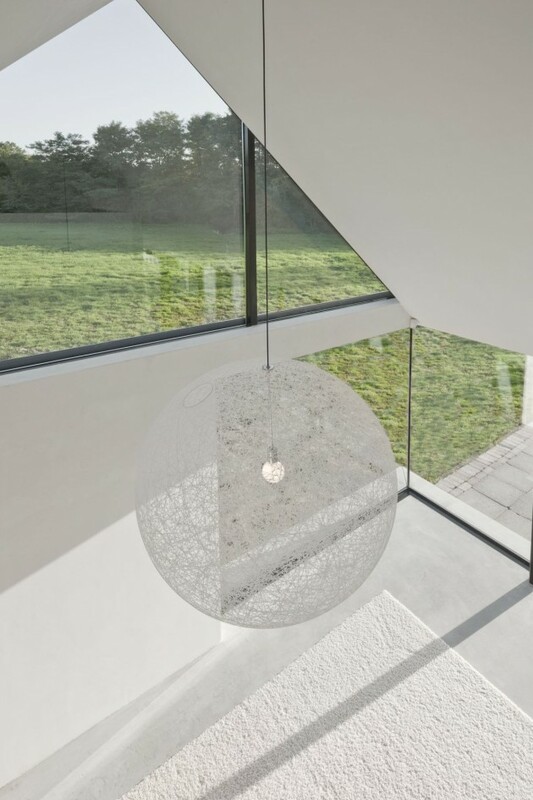 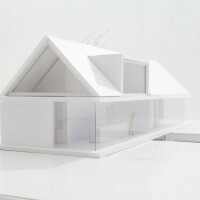 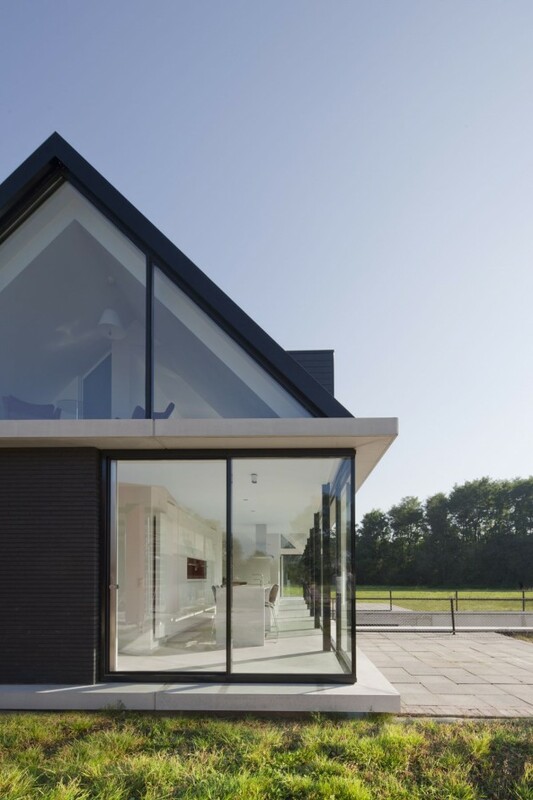 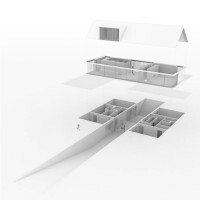 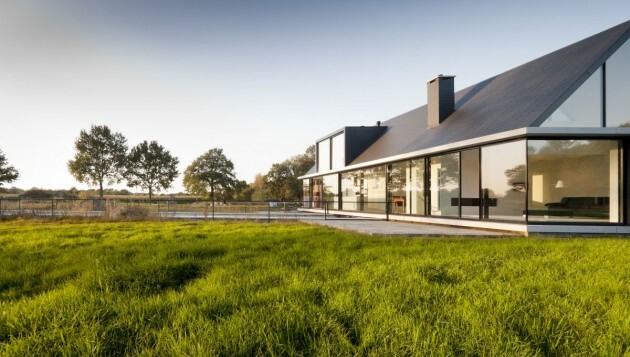 Hofman Dujardin Architects have designed the Villa Geldrop in The Netherlands. 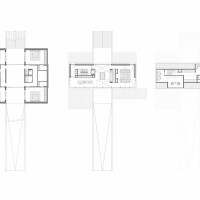 The villa is located at the end of the site next to the existing barn. 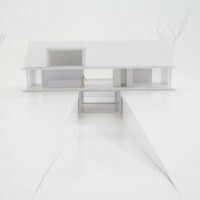 Through a long cut in the landscape the house is anchored on large surrounding. 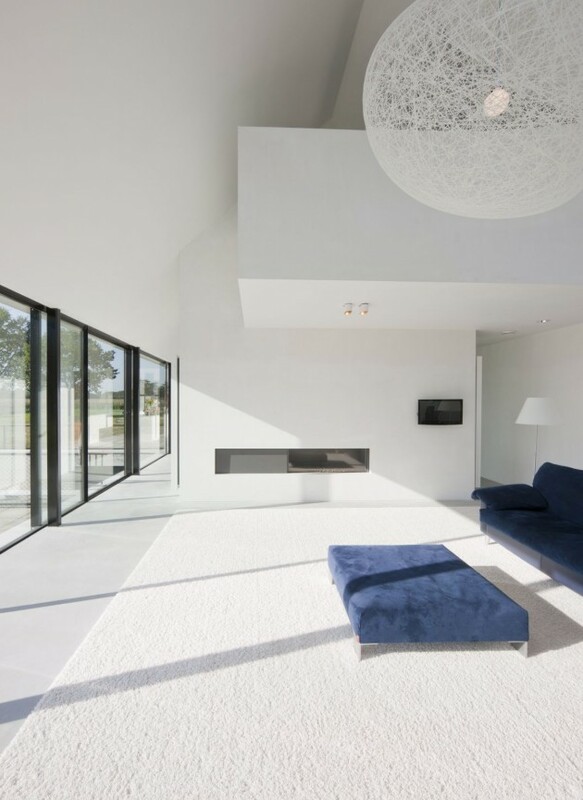 Under the ground level the bedrooms are located at this long sectional patio. 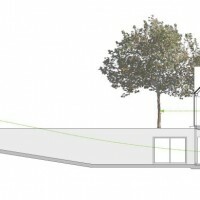 The large living with dining area, kitchen, study area and playing area are located at the ground level and the 1st floor. 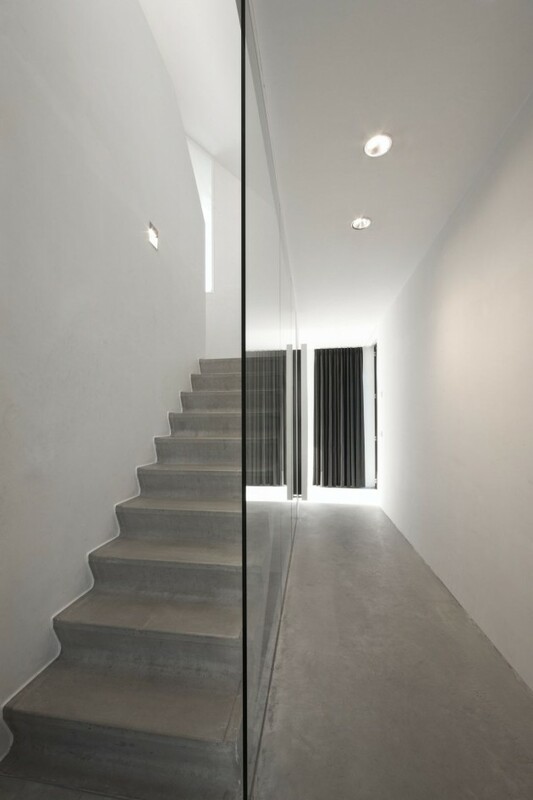 Through voids, roof lights and high passages a tremendous spaciousness is created. 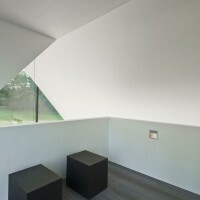 The spaces which are located in the axe of the landscape are used for the sublime experience of the landscape.